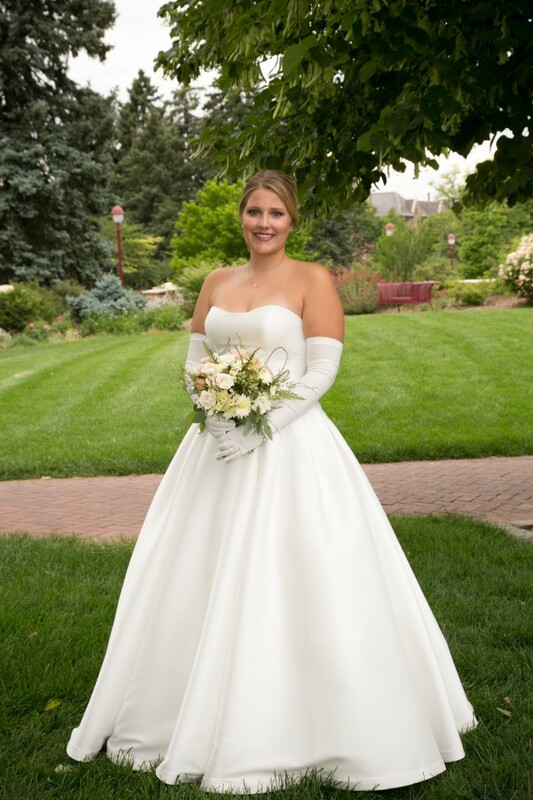 "Comprised of Vizela Mikado, this simple wedding gown features a fitted bodice and natural waist, flaring into a dramatically full structured ballgown skirt with hidden pockets. Finished with covered buttons trailing from neckline to hemline over zipper and inner corset closure." The trail was taken off so it has a straight bottom (much lighter but I still have all of the extra fabric). The buttons still descend all the way down the back of the dress. Once you send a message, Crosby can invite you to purchase the dress.